The boom in home care has side effects -- turnover and risk. 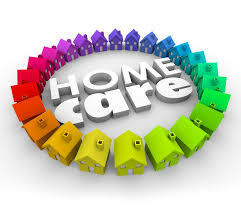 We want to trust home care workers with aging parents. After all, most cannot afford private pay assisted living – which can exceed $3000/month in most locations – and assisted living occupancy is projected to be flat -- likely because people see the cost and defer move-in. Given expanding life expectancies at age 65 – an average of 20 more years for men and more for women, the possibility of ‘aging in place’ in a private home may be growing. As a result, the demand for private home care will grow, but so will the costs – especially for finding workers willing to do this difficult work for low pay. As of 2017, median home care turnover was 66.7% (compared to 30% for CNAs in assisted living). With so many workers coming and going, especially for care recipients with the most taxing care requirements, what technologies may assist families and agency management for monitoring care? Cameras. It is possible that having an in-home security camera can deter issues with home care aides if the aide knows that the camera is there. In New Jersey, a law called "Safe Care Cam", the first in the US, enables family members to borrow a camera for free for 30 days if they suspect abuse. Home security cameras and security systems (which have cameras) can enable both monitoring and the possibility of a two-way audio conversation with the worker. For those who want to monitor without a caregiver knowing, the camera could be mounted inside an alarm clock or a smoke detector. Motion sensors. These low-cost items can detect movement and alert whoever is monitoring – as well as be part of a larger ‘smart home’ solution. These technologies can include ‘bed exit’ alerts as well as fall detection – useful in circumstances when the care recipient is left alone at the end of a day or for a period of time. Fall detection, for example, is increasingly likely to be part of a Personal Emergency Response System (PERS) offering – or medical alert market. Either way, detection of motion (or absence of motion) via well-placed sensors can be important in monitoring whether a worker is paying attention to care. Voice reminders and voice ‘drop-in.’ A growing number of families may be willing to use a Voice First technology – like a smart speaker -- for communicating with in-home seniors or caregivers. This might mean setting up an Amazon Echo (Dot or Show) for in-home use. In those cases where an Amazon device is at two locations, one person can 'drop in' to check on another. It is feasible to integrate a calendar of reminders for paid workers, for example, such as a schedule, to please give a medication at a certain time. This can be done with the Echo line or the Google Home/Google Assistant environment. Electronic visit verification (EVV). 2018 is the year of the electronic visit verification, subject to compliance with a CMS mandate by January 2019. EVV answers the key agency supervision question -- did the worker arrive it at the appropriate place and at the right time to provide care? This technology will be commonplace, despite efforts to delay making it mandatory, in situations in which a service is reimbursed by government. Because agencies have a mix of reimbursed and private pay business, plus struggling with high turnover among workers, private pay home care work is likely to be tracked with EVV technology -- whether or not it is subject to the mandate.